PALMVIEW — Interim City Manager Leo Olivares will remain with the city for another six months after the city council voted to extend his contract Tuesday, one day after the chief of police was placed on paid administrative leave. Police Chief Christopher Barrera had filed a sexual harassment complaint against Olivares in the weeks leading up to being placed on leave. Olivares has denied the allegations which City Attorney Gus Acevedo, in a report dated April 5, concluded were without merit. Three days before the police chief made the complaint, Olivares had met with the chief to discuss perceived problems with Barrera’s management of the department. Barrera said he was given no explanation when the human resources department notified him Monday morning he was placed on leave. Asked what he hoped would come out of the negotiations between his attorney and the city, Barrera said he didn’t know but that it was “very obvious” the city didn’t want him there anymore. “If you’re at a place where they don’t want you there anymore, then it’s time to move on,” Barrera said. Olivares said he had appointed Lt. Gilbert Zamora as interim police chief until the city finalizes a review of Barrera’s personnel issues. “We want to make sure that the services are still being provided and the police department is continuing to function,” he said. Olivares came to the city not long after the city elections in November 2016 which heralded a new era for the city’s administration. Not long after Linda Sarabia, Joel Garcia and Javier Ramirez were elected that year, having run together on the Progress for Palmview political slate, the city hired a management consultant to review the city’s policies and procedures. After the review concluded the city administration was lacking in those areas, the city council placed then City Manager Ramon Segovia on paid leave in April 2017 while simultaneously naming Olivares the interim. Segovia was later terminated in June. 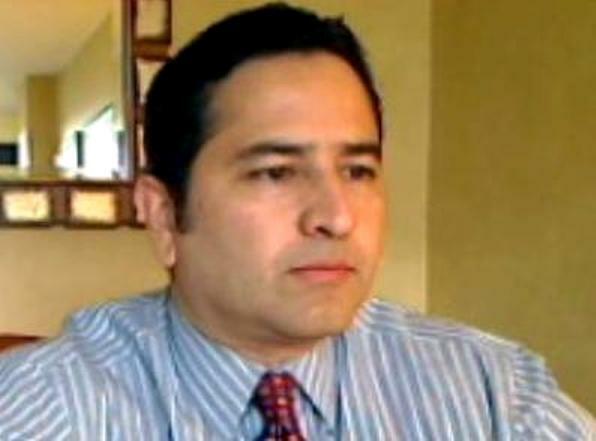 Olivares formerly worked as city manager for the cities of Weslaco and Rio Grande City. He was also special assistant to Miguel A. Nevarez, president of University of Texas Pan-American, now the University of Texas Rio Grande Valley, was chief of staff to former Sen. Carlos Truan, and was legislative assistant to former state Rep. Mickey Leland, D-Houston. Of the situation with the police chief, Villarreal said he respected Barrera and his many years of service but at the same time said the city needed to do what is in the best interest of the city.